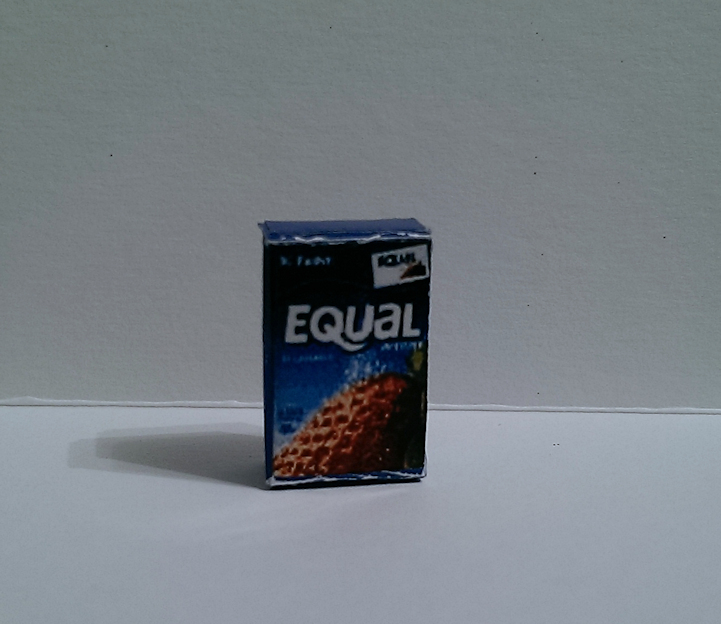 This dollhouse kitchen accessory is a 1:12 scale box of Artificial Sweetener - Equal. 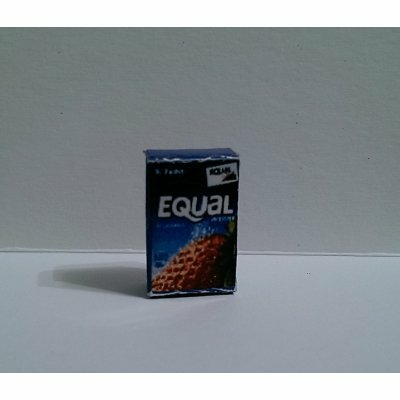 The Artificial Sweetener Box has printing on all sides and measures 0.73" tall by 0.45" wide by 0.22" deep and is shakable, it rattles as if there's something inside. 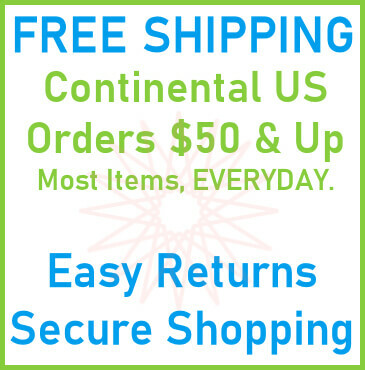 This Artificial Sweetener Box is supplied by Dolly's Miniatures, which generally ships within 1 business day(s) of you placing your order .